Suinocultura Industrial – The world will need less food by 2050, contrary to current estimates. The explanation lies in global demand, growing at rates much lower than had been predicted. Said the General Director of the United Nations Food and Agriculture Organization (FAO), Jose Graziano da Silva, surprising more than 200 agribusiness executives gathered in Geneva, Switzerland. In 2009, FAO had estimated that the world will need to increase global food production by 70%, based on the average production between 2005 and 2007 to feed 9.1 billion people in 2050 to 2 billion more than the current population of the planet. No less than 90% of this expansion should come from higher productivity, intensive harvest and 10% increase in land use. The UN agency has remade the same calculations, using newly available information and concluded that the need to increase agricultural production until 2050 will be around 60%, both for food and for biofuel production. According to Graziano, this conclusion reflects at least three factors. First, population growth will be smaller and declining in many countries and regions including Japan, China, Brazil and Europe. Secondly, most countries and populations will reach gradually the level of food consumption which, in turn, will find little space for expansion. Third, while the demand for food may increase in some countries, many others continue to see their populations increase and remain with significant low income or poverty for a long period. “The increase in per capita income, especially in the BRIC [Brazil, Russia, India, China and South Africa] is lower than expected because of the crisis. Less income means less consumption,” said Graziano. “Furthermore, there was reduction targets for biofuel use in Europe, which also explains the new projection,” said the Brazilian. But the participants of the seminar on “how to feed the world”, held in Geneva, seemeds unconvinced. Paul Bulcke, CEO of Nestlé, one of the sponsors of the event, kept talking of the need to increase global production by 90% to meet demand. The executive insisted that the increase in world population, water scarcity and food waste and its use in biofuel production – in reference to corn-based ethanol in the United States – have impacts on food security. “People got scared [with the new estimate], but 60% increase in production means a lot,” said Graziano, noting that the land available for agriculture are few and located mainly in South America and in African savannas. 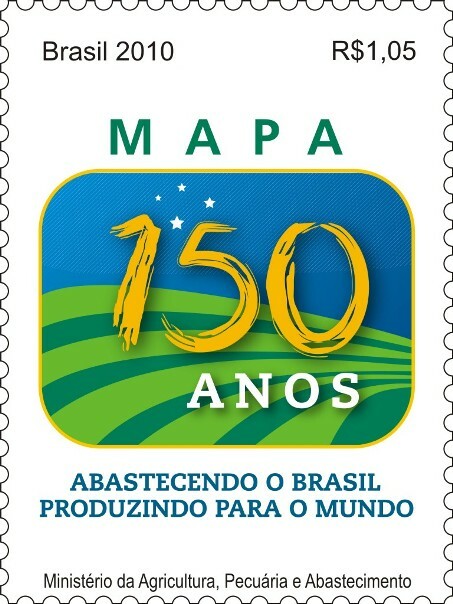 For the director of FAO, the Mercosur will continue to be the breadbasket of the world and the “big restriction to the block is fertilizes, that are expensive and almost imported”, said. He reiterated that the world will pass through a decade of high prices of food and the great concern is the volatility that does not favor the producer or the consumer. Graziano signaled also the limits of FAO in the fight against hunger: the agency has only $ 1 dollar for each person in the world malnourished, and they add up to 1 billion today. So he strengthened the defense by reducing waste throughout the food production chain, from farm to consumer. In Brazil, these losses are estimated at 40%. “People think they know how to eat, but it is not true,” said. It is estimated that the overall reduction of waste by 25% would be enough to feed 500 million people a year without the need to expand production. Until March, the FAO should adopt also a code of conduct to reduce foreign investment in land acquisition, but the standards are voluntary and the 190 member countries may adopt or not. Science – Lower olefins (C2 to C4) are extensively used in the chemical industry as building blocks to synthesize a wide range of products such as polymers, solvents, drugs, cosmetics, and detergents. Traditionally, lower olefins have been produced by thermal or catalytic cracking of naphtha or vacuum gas oil or from dehydrogenation of alkanes, but environmental and economic factors are currently spurring exploration of alternative routes for their production. Source: Science, February 17th, 2012.